President Donald Trump said Sen. Elizabeth Warren should apologize to the country for claiming Native American heritage, in a Monday appearance while touring areas affected by Hurricane Michael. Trump was asked whether he owes Warren an apology after she released results of a DNA test showing she is somewhere between 1/64 to 1/1024 Native American. “She owes the country an apology. What is the percentage? 1/1000th,” he asked back. Trump previously dismissed Warren’s test results saying “who cares.” Warren has long claimed to have Native American ancestry based upon familial lore, even going so far as to submit recipes to a cookbook dedicated to Native American cuisine. Harvard Law School featured her as a “minority” professor in the 1990s based on her self-listing in a directory as a Native American. 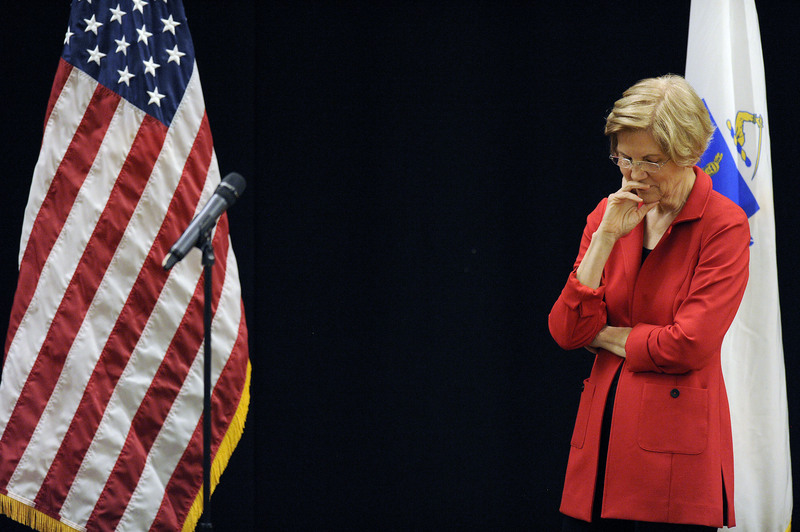 The issue of Warren’s heritage surfaced in 2012 during a Senate campaign against Scott Brown after he raised her claims in an attempt to show she does not have integrity.